Donate now via our secure Believe.in appeal page. 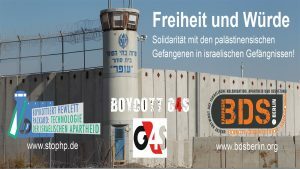 Help the BDS movement reach new heights. This summer Israel launched its bloodiest ever massacre of Palestinians in the Gaza strip. More than 2,190 Palestinians were killed as Israel deliberately targeted civilians and civilian infrastructure. But 2014 also saw unprecedented levels of solidarity with the Palestinian struggle. Hundreds of thousands of people took to the streets to protest Israel’s attack on Gaza, and the boycott, divestment and sanctions (BDS) movement is winning mass support from people and organizations across the world. Thanks to the dedicated, creative campaigning of activists across the world, the BDS movement is starting to have a real impact. Israeli exporters are complaining it is getting harder to export their products because of the growth of the boycott. Big corporations are starting to realize that being associated with Israeli apartheid is bad for business, and leading pension funds are divesting from the corporate criminals that participate in Israel’s crimes. ‘Brand Israel’ is increasingly toxic. Israeli leaders are worried Israel is rapidly becoming a pariah state. But there’s so much more we need to do. The Palestinian BDS National Committee, the Palestinian civil society coalition that leads the global BDS movement, is making its first ever fundraising appeal. We are looking ahead to ambitious new horizons. 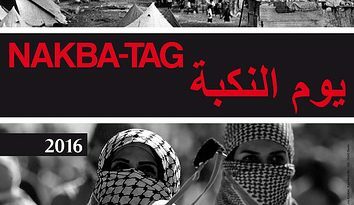 With your support, we plan to develop even harder hitting campaigns, redevelop BDSmovement.net into a multi-language resource for the movement and publish a range of research and campaign materials to help make BDS campaigning even more effective. 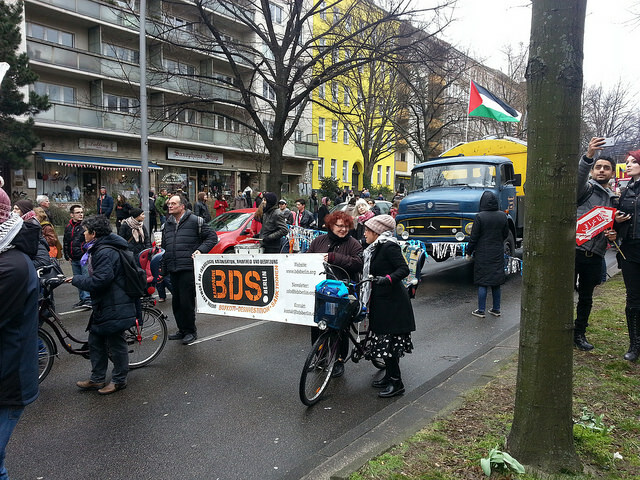 Please support BDS today by making a donation that will help us to make 2015 the year that the boycott movement reaches new heights. 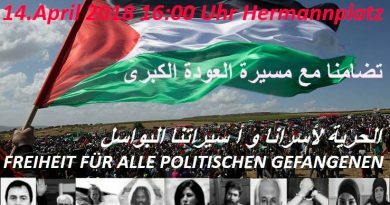 It will be a real contribution to the Palestinian struggle for freedom, justice and equality. 31. Mai 2017 Kommentare deaktiviert für Auf nach Hamburg gegen die G20 – Macht mit im internationalistischen Block!